Mason Storm: Come on. Let's go, guys. I'm missin' the Oscars. Q: What are the differences between the old BBFC 18 Versions and the Uncut Version? A Steven Seagal Film That Actually Works. 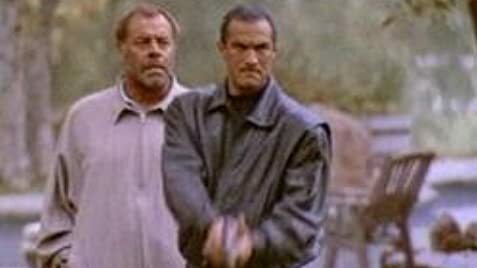 "Hard to Kill" is bar-none the best Steven Seagal film by a cosmic mile. That is not saying that this is a masterpiece, but it works pretty well due to some really evil bad guys (led by William Sadler) and the fact that Seagal's character is legitimately out for revenge. 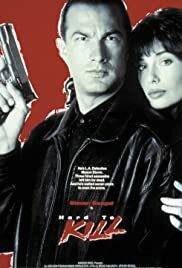 Seagal is a cop who has just learned that Sadler, an ambitious lawyer with political aspirations, is involved with shady cops and high-class crime syndicates. This information will lead to an attempt on Seagal's life which will kill his wife, cause their young son to just barely escape death and cause Seagal to go into a coma himself. Of course he awakes some eight years later and his only motivation is to bring all those involved to justice. Works well due to Seagal's performance more than anything else. 3.5 out of 5 stars.